For more than 50 years, MagniFlood has designed and manufactured quality lighting products. The path to success is not easy, but it is simple. Make a quality product at a fair price, be honest with your customers and deliver on time. Controlling our production is important here at MagniFlood. That means parts are here when we need them andour customers get our products on time. How do we do it? The secret is in our motto, “Cad To Completion”. Other company’s mottos try to emulate ours, but they lack the capability. Lighting layouts and fixture design are only the beginning. We design our fixtures in our CAD department using 3D modeling software. If needed, we make prototype parts in our 3D modeling printer. Castings are a large part of lighting. MagniFlood has its own semi-automated Aluminum foundry on site, with state-of-the-art sand control, automatic molding, and electric melting. Our clean and efficient foundry saves weeks of waiting and wasted casting inventory. We make castings when we need them. Sheet metal fabrication is another big part of lighting manufacturing. Our CNC punching and CNC bending centers solve those issues, storing part designs which are then ready to use at a moment’s notice. Our CNC milling and turning centers can machine components with precision. The accuracy of these fixture components is what makes parts interchangeable in like fixtures… the first part is identical to the last one. Pole fabrication is facilitated in our well equipped welding department. Standard poles are built with repeatability in specially designed welding jigs. We check poles for concentricity on our specially designed alignment centricitometer. To give the customers the finish they deserve, we use our in-house powder coating system. MagniFlood is a believer in a clean and safe environment for all, so we installed a conveyorized shot blasting system for fixture and pole surface preparation before powder coating. This provides a clean surface for the coating to adhere to and eliminates the chemicals used by other manufacturers to clean their poles and fixtures before powder coating. The latest addition to our production is our computerized “Pick and Place” LED equipment used to make LED board solutions for our own LED High performance light engines. The state-of-the-art machine places 22,000 parts an hour. The conveyorized system loads boards robotically, right through into the reflow oven. The final step is the assembly of fixtures and poles. Each fixture is assembled by trained personnel who have been instructed to use care and accuracy in the manufacturing process. Pride in their work and a quality product is what they accomplish each time they assemble a luminaire. Every fixture is tested and fully operational before it leaves our facility! We know our customers expect this and we give it to them. 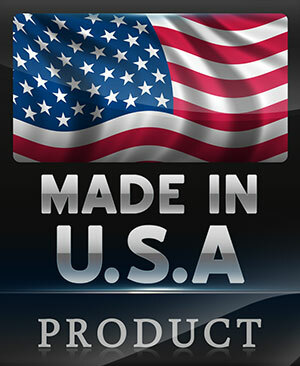 They are getting a fine quality American made product from a proud American Manufacturer.